Panochori – Limited edition is elegant, fruity, with spicy notes and intense aromas of green olive. Smooth texture with a nice spicy edge and perfectly balanced finish. Perfect for salads (specially tomato base salads). Try it with fresh warm bread. feta cheese and wild dry oregano. 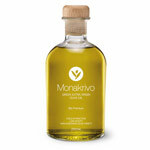 Recommended as a new quality Greek product by BBC OLIVE (Greek Edition) – June 2011. As children we would meet our grandpa and father at the olive grove. At lunch time, grandpa would break the bread before pouring the thick green olive oil over it from a small clear bottle. It smelt like freshly picked olives. 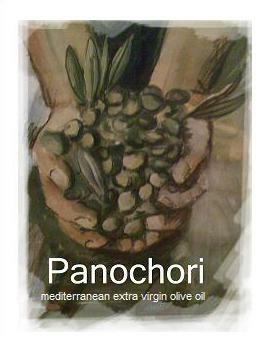 This pure taste of fresh virgin olive oil that has filled our childhood is what we aim to seal in every bottle of “ Panochori”.